Excellent customer support is the focal point of every business operation. Owing to the fact, many companies are operating in-house multilingual customer call center while others are outsourcing this division. Do you really think running or hiring multilingual call center 24*7 is enough to meet varied customers’ expectations or it is just tip of the iceberg? Corporate world is evolving at a fast pace and business cannot afford to lose single potential customers just because it is lacking on certain parameters of offering impressive customer support services. Assorted below are few ways which intensely affect customer experience and result in higher customer engagement ratio for customer support service providers. Focus on Customers’ Language – Offer customer support in customers’ language not in company’s language. Moreover, because your customers understand English does not mean they prefer it for business communication. If you are offering customer support to Spanish customers in English language, communication gap is bound to occur. Thus, it is pertinent to know the preferred language of your customers before offering them multilingual customer service. Simultaneously, gather facts about their second preferred language to further mitigate the problem of language barriers. It is a worth to remember that providing support to the customers in their language will accelerate your brand sale by engaging more and more customers. Follow Cross-cultural Service Expectations- May be your multilingual customer service agents serve their clients in Arabic, Chinese, Spanish and many other languages flawlessly but does it ensure effective communication? The answer is NO. To ensure effective communication, following cross-cultural practices is inevitable. It is because parameters of good customer service for one nation may be a deal-breaker for others. Customers do want their problems resolved, but not in the same way. For instance, customers of Western countries talk in fast pace whereas Asian customers consider fast pace as rude or inappropriate language tone. Similarly, speaking casual language with Japanese customers considered as inappropriate and insulting. Thus, invest time in training your multilingual call center agents about cultural nuances of different nations so that they do not follow “one size fit approach” while communicating with customers of different nations. Do remember, when you exhibit that you know your customers’ culture, they will trust you more. Consider Time Zone by Creating Standard Response Time Policy – Responding quickly is one factor which differentiates companies having loyal customers base with companies who struggle in retaining customers. Faster the speed, more satisfied would be the customers. Moreover, set different standard response window for different modes of communication. Let us assume 2 hours’ is an ideal response time for live chat support but may be inappropriate for responding over email. The idea is to respond to customers’ queries quickly by creating standard response time policy and strictly adhering to it on consistent basis. Not to forget the golden rule “You loose if you snooze”. Implement the Concept of “Long Tail” – The “long tail” is a popular marketing concept which allows business to make profit by selling less number of hard-to-find items to scores of customers instead of focusing upon selling high volumes of popular items. Every multilingual call center should apply this concept to increase their market presence and get an insight whether they are using their resources in the right manner or not. It may happen that a business is receiving large number of queries from Asian countries on monthly basis but when it comes to revenue, Western countries may steal the show due to massive business growth prospects. This analysis will help businesses in deploying their resources judiciously and create their plan of action accordingly. 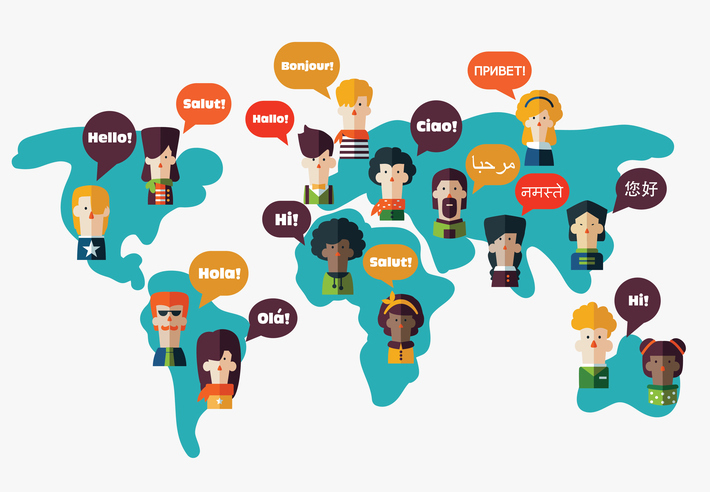 Increase Business Scalability across Multiple Languages – Any business can expand its business presence in multiple countries by offering multilingual customer service. It is not wrong to say that for surviving in the global marketplace, multilingual call centre support has become a business necessity. Managing in-house multilingual call centre is a big challenge. Thus, outsourcing such services is a better and effective business strategy. Multilingual call center like LiveSalesman is competent to provide customer support in multiple languages like Chinese Call Center Support, Arabic Call Center Support, French Call Center Support, Spanish Call Center Support to name a few to worldwide clients. Their trained and knowledgeable Multilingual customer service agents know the art of creating personalized service experience for customers of different nations. Moreover, outsourcing multilingual customer support also ensures to manage business operations within your prescribed operating cost.